Today, it is a great pleasure to interview fellow Fangirl, who also happens to be my favorite author of all time, Lois McMaster Bujold! I became aware of Lois when my husband and I rented the audiobook version of her story, Shards of Honor, back when these were published by The Reader’s Chair. However, I became more aquainted with her, not only as an author, but as a fangirl, via her blog, which I have been following since she first started posting on MySpace.com. Welcome Lois to The Adventures of The Everyday Fangirl. 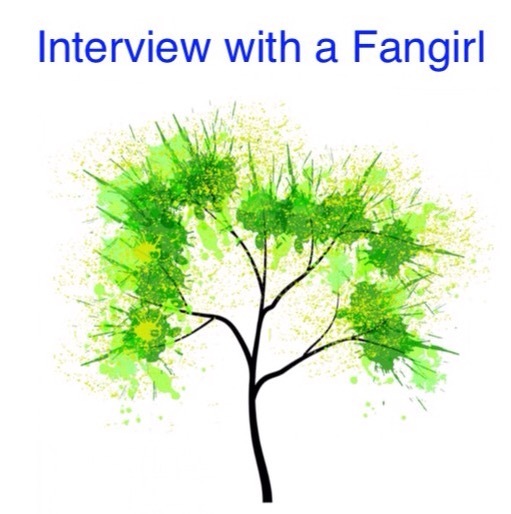 You are an inspiration to other fangirls, like me, and it is an honor that you took the time to answer these questions about being a Fangirl. Before the term “fangirl” was invented. I started reading science fiction for grownups at about age nine, because my father, an engineering professor, used to buy the magazines and books to read on the plane when he went on consulting trips, and they fell to me. Got my first subscription to Analog Magazine at age 13. So when Star Trek came along in 1966, when I was in high school, the seed fell on already-fertile ground; it was an addition, not a revelation. At last, SF on TV that was almost as good as what I was reading, a miracle! I would have just called myself a fan then, or a reader, ungendered terms I note. In my entire high school of 1,800 students, there was only one other genre reader I knew of (later we expanded to 4 or 6), my best friend Lillian, and she only because we traded interests; I got history from her, she got F&SF from me. So there was no one to be fans with, for the first while. It has provided a great way to reach my readers with the latest word about my works, and vice versa; it’s also an enormous distraction and time sink. What I learn from it all makes it come out pretty even, I think. But due to the distraction issues, I keep my e-footprint small, mainly my Goodreads blog. Goodreads has also provided a handy way for fans to ask questions. 280 answered questions so far, so if you want to read more Bujold blether, there you go. When did you first see Star Wars or other favorite fandom, such as Star Trek, Lord of The Ring, etc. and did you love it right away or did this grow on you over time? Saw Star Wars in the first week, Star Trek (not yet TOS) and The Fellowship of the Ring on the first nights. The greatest suspense for me, watching the Lord of the Rings movies, which had me on the edge of my seat the whole time, was the question, “Are the moviemakers going to screw this bit up?” and the greatest thrill was when the answer was, “Yay, they didn’t!” Star Wars, being original to film, didn’t have that problem of competing with a prior tale in my head, fighting like two cats in a sack. What have you learned from the Star Trek fan community or other fan communities that has had a positive impact on your life? Well, I have for the past 30 years made my living as a science fiction and fantasy writer, so I’d say the impact has been huge. It was mainly through the very early fan community – both Star Trek (through the earliest fanzines like Devra Langsam’s Spockanalia), and general, through the Central Ohio Science Fiction Fan Club, which I discovered just after high school (22 guys and me meeting in Ron Miller’s parents’ basement, later to be this Ron Miller – that I learned I was not alone in my interests. Oh, and BFF Lillian? Now this: Lillian Stewart Carl and we are still friends, 55 years and a few million words later. The “SF community” used to mean, quite narrowly, attendees at SF literary conventions (media fandom was constructed as another, if allied, beast.) The arrival of the internet has changed it all, as an acquaintance of mine put it with respect to fanfiction, “like throwing a gasoline tanker truck on a campfire.” Good times. Break out the marshmallows. Lately, I have gotten fairly deep into anime and animation. (And, peripherally, manga.) My first brush with anime was at SF conventions in the 80s, when it was presented in a room on a screen with a fan standing beside it doing verbal translations on the fly – early modern fansubs, as it were. The very limited selection on VHS in video stores (remember video stores?) intrigued me further, but also frustrated me. The Modern Age, and Netflix DVDs, opened up that world to me at last. I think the above pretty much covers it. For all that people go on about the Golden Age of Science Fiction being some moving target of decades ago, I think the golden age is now. We’re all rather like Scrooge McDuck, rolling around in his giant vault of coins, with more fiction at our fingertips than anyone can take in. Thanks again Lois for answering these questions and letting us to get to know you and your fandom better. This fangirl really appreciates this! Lois McMaster Bujold today, photo by Paul Bujold. Signing tip sheets for my 25th novel. Lois McMaster Bujold was born in 1949, the daughter of an engineering professor at Ohio State University, from whom she picked up her early interest in science fiction. She now lives in Minneapolis, and has two grown children. She began writing with the aim of professional publication in 1982. She wrote three novels in three years; in October of 1985, all three sold to Baen Books, launching her career. Bujold went on to write many other books for Baen, mostly featuring her popular character Miles Naismith Vorkosigan, his family, friends, and enemies. Her fantasy from HarperCollins includes the award-winning Chalion series and the Sharing Knife series. Ten times nominated for the Hugo Award for Best Novel, she has won in that category four times, in addition to garnering another Hugo for best novella, three Nebula Awards, three Locus Awards, the Mythopoeic Award, two Sapphire Awards, the Minnesota Book Award, the Forry Award, and the Skylark Award. In 2007, she was given the Ohioana Career Award, and in 2008 was Writer Guest-of-Honor for the 66th World Science Fiction Convention. A complete list may be found here: http://www.sfadb.com/Lois_McMaster_Bujold. Her works have been translated into over twenty languages. More information on Bujold and her books is archived at www.dendarii.com and her blog at https://www.goodreads.com/author/show/16094.Lois_McMaster_Bujold/blog. What a fun interview! Glad I got the chance to read it!